Hi lovelies! I skipped last month's Cute Buy Of The Month as I'm on a spending ban at the moment with a house move coming up. 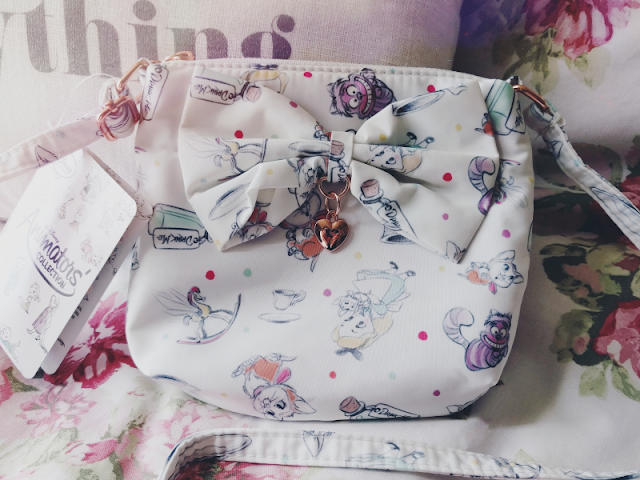 In March however I was making an order with the Disney Store anyway for a Pua my boyfriend bought for me, and when I saw this adorable bag I had to break my ban a little to get it! It's from the Disney Store's ever-gorgeous Animators' Collection and features lots of lovely little Alice in Wonderland drawings including Dinah, The Cheshire Cat, china cups, and of course Alice herself! It also has a rose gold charm and zip which as I'm obsessed with rose gold made me very happy! The Disney Store are really paying attention to what's trending at the moment. 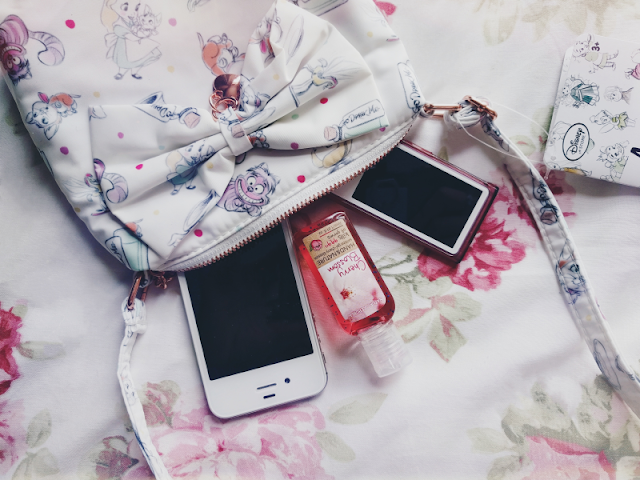 Unfortunately I think it's meant for children as it is rather on the small side but I think this will be the perfect size for keeping your essentials in at the airport and then stowing away in your carry-on bag for the plane! It should easily fit a phone, passport, tickets and some bank cards/coins and notes so you won't have to keep searching around your main bag every time you need them. However while it is quite small, an advantage of being from the kids section is that the price was teeny tiny too - only £9.99! 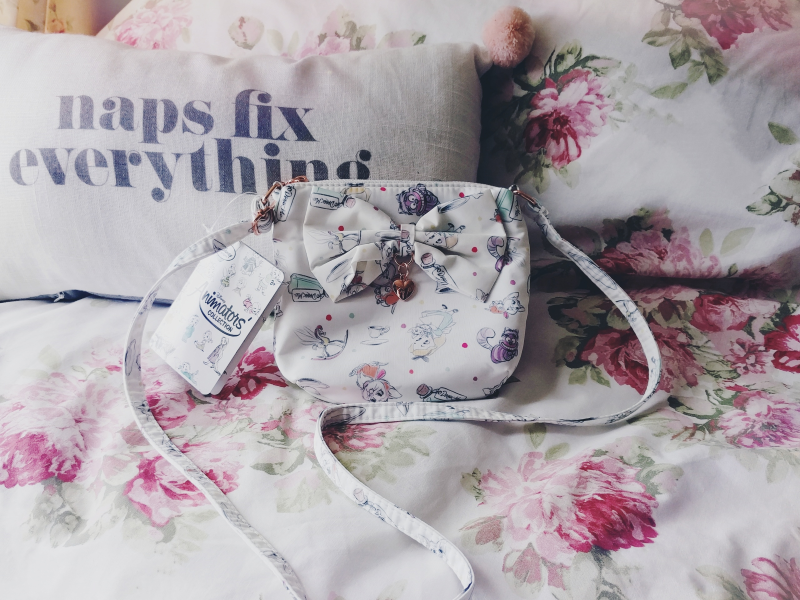 Not bad for such a pretty bag! At the time of writing this it is still available on the UK's Disney Store website - just search for 'Alice bag' and it should come up!